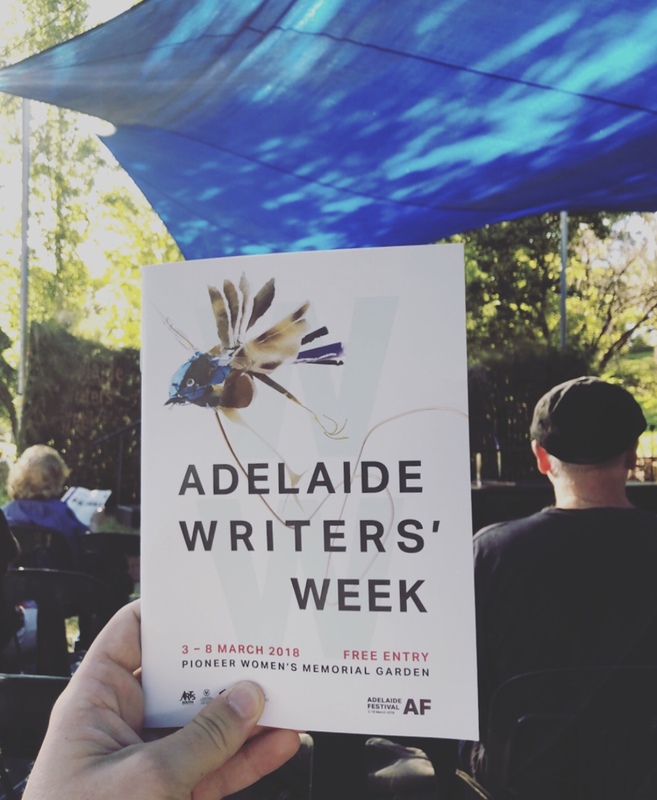 It may be Australia’s longest-running literary festival, but Adelaide Writers’ Week shares little resemblance with the big-name east-coast counterparts that followed it a generation later. The event’s idiosyncrasies reflect much about the city that gave it birth: august, commodious Adelaide, temperate and traversable, capital of the festival state, with its surrounding circlet of parklands in which the Pioneer Women’s Memorial Garden could be an understated crown jewel. 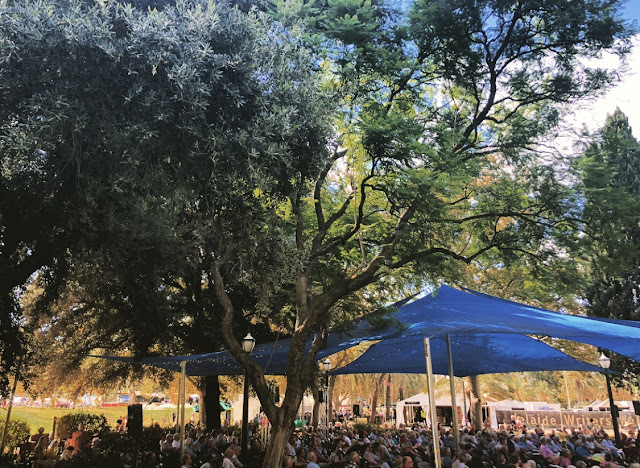 Far from the air-conditioned concert halls and crowded café venues of the Sydney and Melbourne festivals, Adelaide Writers’ Week passes in the open air and sunshine of this glorious garden. Mem Fox reads from I’m Australian Too. It’s simply different. Fanatical volunteers stand smiling guard over the bins, racing to intercede before any recyclable item is denied its rightful reincarnation by mistaken consignment to general waste. The dignified demountable bathrooms offer expensive soap and proper mirrors. For some reason, there’s a joey in the writers’ green room and, occasionally, in the audience. And, indeed, everything about the event is free and easy. No pressure to attend pre-booked and paid-for sessions. You may come and go as you please between the twin stages that sit companionably close in the riverside park. Follow your fancy through a program as well-balanced and legible as Adelaide’s city grid—from the intimately personal to the sweepingly geopolitical, local to international, grand historical narratives to confessional poetry. Unbound by the confines of the indoors and its attendant fire codes, audiences expand and contract like a breathing organism according to the popularity of the speakers. Events at the more intimate west stage like The Life to Come with the radiant Michelle de Kretser send the crowd fanning out into the wings of shade beyond the garden walls and curling up the slope, while drawcards at the east stage such as insightful international heavyweight Barbara Kingsolver and the delightfully peculiar festival-favourite Robert Dessaix break the banks entirely to engulf the little island of the stage in all directions. In other words, one of the ways we can save the world is: more this. More reading, more thinking, more discussion, more devotees to the compassion and rigour of literature and poetry, where standards of quality are cherished, not abandoned, where ethical engagement with the world persists, where meaning something still means something, where thoughtfulness lives, where we can learn the tools of discernment and critical thinking that allow us to dispatch the dissembling messages of governments and corporations and demand better. One of the ways the writers’ week instantiates this impulse is particularly fitting for the state where (white) Australian women first won the right to vote, the birthplace of Australian suffrage. Without explicitly stating it, without excluding anyone, it is on so many levels a festival by and for women. Dedicated this year to a woman writer, set in a garden memorialising the contributions of women, on and around International Women’s Day, it is a worthy alternative to a corporate breakfast agitating for more gender-representative economic inequality. This year the lost diary of Australia’s most influential woman writer Miles Franklin was even found during the proceedings. Among such auspices, it was impossible not to notice the makeup of the crowd—most abundantly middle-aged women, Australia’s largest reading demographic. A woman runs the festival, the discussions are most deftly facilitated by female chairs, and women appear onstage over half the time, often speaking on topics relevant to the cause. Next year’s Writers’ Week passes from Laura Kroetsch to Sydney Writers’ Festival CEO Jo Dyer. We can hope that, as an Adelaide native, Dyer will know how to preserve and enhance what makes Writers’ Week so unique and so very important as a home for careful thinking in a world of bombast and bluster.